So, look, you guys all know that I'm pretty obsessed with some fictional boy toys, right? I mean, when I really love a book, it's because the hottie hero totes stole my heart and soul. I have literally like 50+ book boyfriends. Why is that? Well, now that I'm officially the big two five (that's 25), I've found myself thrust back into the dating world, much like any typical coming-of-age chick flick, (which I never imagined myself going through when I was younger, btw). I always figured I'd be settled down with a family by now. HA! Funny how life doesn't quite turn out the way you plan it to. Anyways, dating is not easy. It's not all fun and swoons and bright butterflies taking flight in your stomach. Sometimes it makes your day and sometimes it completely breaks it. WHY put myself through this charade? I was thinking to myself the other day that it's nearly ridiculous to put so much effort into real boys when I have loads of fictional ones that will treat me way better in the long run. (I sound crazy! Book Boy Crazy! ), which led me to writing this very post...a list of all the reasons why fictional boyfriends are just better. 1. They will ALWAYS be there for you. No worries about your crazy girl side showing, or what mood you're in. They will always be there to pick you back up or make you smile. All you have to do is be willing to give them attention too. The more you give, the more they give. 2. They are the ONLY thing worth waiting for. No more worrying about why he hasn't texted you or called, because you don't have to wait around for book boyfriends. No waiting for them after they are late, and if it's something you're looking forward to, they are definitely worth waiting around for. Books are the only darn thing I'll wait for. *hair flip* Ain't nobody got time to wait on no IRL boy! 3. You can see them practically ANY time you want to. Choose your boyfriend for the day, and spend as much time as you want with them. He won't be too concerned about any "previous plans" he had for the day. YOU are the only thing BB wants to see. 4. They always say the right thing. Well, most of the time, and when they don't? Just flip to the page where they make it all right. In real life with real boys, it's a little more messy and time-consuming than that. 5. You can cuddle up with them every night. Don't worry about moving too fast, because you can never cuddle with a book boyfriend too fast! I mean, who the heck would judge someone's reputation, because they curl up with a different book each night? Not I! I cuddle with a bunch each night. My bookish reputation is ruined now! 7. You can have as many as you want to! Who said anything about book boyfriend monogamy?! That's blasphemy! 9. You don't have to worry about introducing them to the family. Could you imagine the awkwardness of bringing your first boy over to meet your parents? It's awkward. Heck, it's still awkward for me. 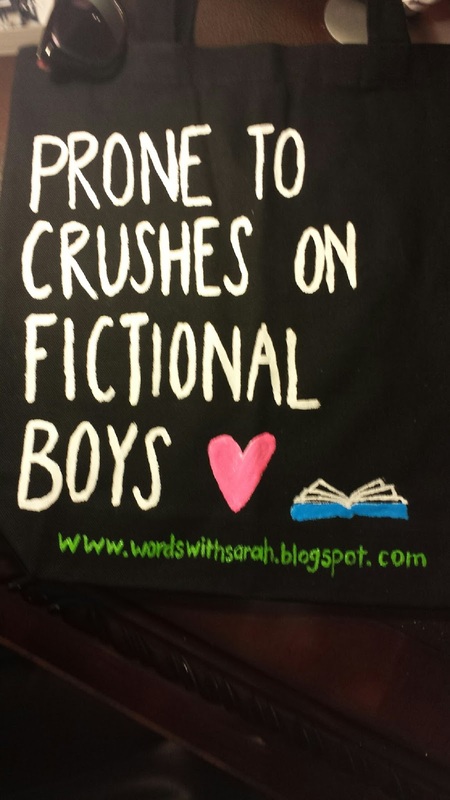 But it's not awkward if I stick with book boyfriends, because I don't have to worry about introducing them. I might sound a little cray if I did. *walks in with a stack of books* "Well, Mom. Dad. Meet my boyfriend(s). Happy Thanksgiving!" 10. It's impossible for them to get jealous. Psh. THANKFULLY. Or I'd have a problem since I have wayyyyy too many bbf's. 11. Another plus? HELLO! You don't have to get all prettified for your 'dates' either. "Sweatpants, hair tied, readin' with no make-up on"
Obviously there are some setbacks to only dating book boys, but there's a heck of a lot of positives too! It all depends on what you're really looking to find in life. Which would you rather have: book boyfriends or real-life ones? Why or why not?